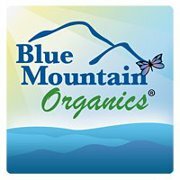 Blue Mountain Organics Distribution (BMOD) is a premier provider of gourmet certified organic raw and sprouted superfoods. They are certified organic by Stellar Certification Services, Certified Kosher by Earth Kosher, and they are a dairy-free, soy-free and peanut-free facility. BMOD is a sustainable mission based company with the goal of bettering the health of their wonderful customers. They are dedicated to producing the best-tasting, healthiest and most nutritious foods possible for their customers. They specialize in organic whole raw living foods, sprouted nuts, seeds and butters, as well as sprouted grains and flours. They believe in promoting great health through sound nutrition, and as stewards of the planet, support sustainable agricultural practices and fair trade policies. BMOD is located in Floyd, Virginia, a small agricultural community in the Blue Ridge Mountains. Roost House of Juice is very happy to join the Blue Mountain Organics family and to be sourcing our nuts, seeds, and superfoods from BMOD! Please visit the Blue Mountain Organics website for more information! Dedicated to serving Maine since 1995, Crown O’ Maine distributes locally grown produce across the length and breadth of Maine. COMOC welcomes buying clubs, restaurants, or neighborhood retail establishments to their growing collection of foods produced by local farmers, fishermen, and artisans. They believe that Maine is a place where communities can and do work together. The COMOC vision looks to ways to strengthen and improve our inter-connectedness. 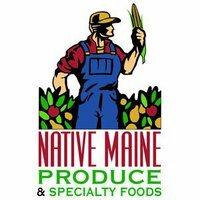 Over the last ten years they have witnessed and received much love and support from the Maine community for their agricultural efforts. Roost House of Juice is very grateful for this access to fresh quality local Maine food! Please visit the Crown O’ Maine website for more information! Farm Fresh Connection LLC markets and distributes produce for Maine farms. Their goal is to pay farmers for the food they produce and provide citizens with access to healthy food grown close to home. Farm Fresh orchestrates both the pickup from the farm and the delivery to the customer. They buy food from over 60 Maine producers throughout the year. Customers include restaurants, retail stores, schools, hospitals, farm stands, buying clubs, processing operations – over 150 establishments. They ship both in-state and out-of-state and distribute daily from Waterville to Scarborough, Maine. Kathleen and Jeanette are excited to work with Martha and Sarah from Farm Fresh Connection, and really enjoyed visiting their picturesque, inviting farm stand at Wealden Farm this spring in Freeport, Maine. Please visit the Farm Fresh Connection website for more information! Please visit the Native Maine website for more information! Crush Distributors is a women-owned and operated wine company servicing the Maine market. Their mission is to facilitate the growth of New England’s high-end wine market by providing rare, artisan wines in combination with education and unmatched levels of service. They hand pick their wines from family-owned wineries with great stories behind them. The wines are creative, organic, sustainable, biodynamic when possible, sometimes geeky, and a whole lot of fun. Their wines can only be found in restaurants and independent retailers. Crush Distributors is a gateway to some of the most creative and unique wines available in Maine! 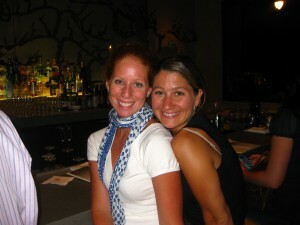 Please visit the Roost House of Juice Wine List! 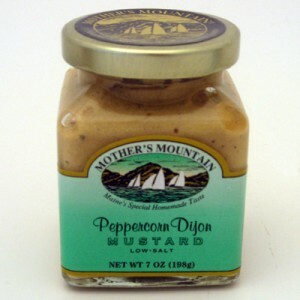 Mother’s Mountain is a local family business, owned by Mr. & Mrs. Mustard, Carol Tanner and Dennis Proctor. They have been offering specialty condiments since 1982, and it all started with their first honey mustard recipe. Since then, Mother’s Mountain has grown into a business offering 30 beloved specialty products. They personally hand pack and label every jar and remain committed to using only the best ingredients. Their goal is to always provide natural, gluten free, salt free, and fat free options. Check out our Bloody Mary Fancy-full juice with Mother’s Mountain mustard and hot sauce!